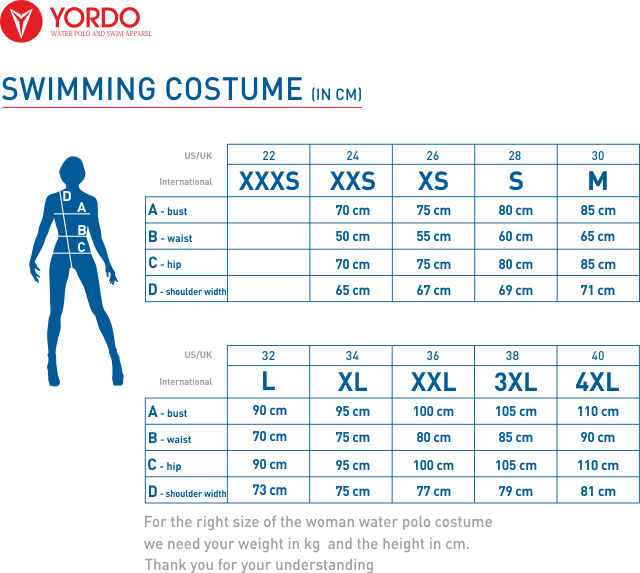 Yordo women water polo costumes are made from a special blend of fabric which is very hard wearing. Comfortable fit. Quick drying material. Cold rinse after use. Swimwear that is made to last!! *** IMPORTANT *** Yordo sizing is EU sizing, different from UK sizing. Please check our Size chart. If you are unfamiliar with sizing and you are in any doubt it is advised that you go for the larger size.